A new venture says its $500 mln blank-check IPO can help end the dearth of public offerings from tech startups. Yet capital is plentiful, an opaque acquisition won’t improve valuation, and the target would still be stuck with public disclosure. This solution has no real value. 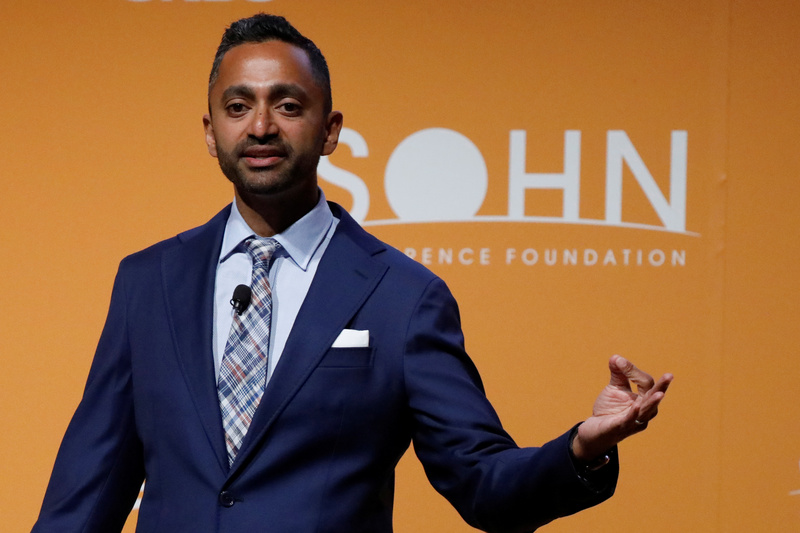 Chamath Palihapitiya, Founder and CEO of Social Capital, speaks during the Sohn Investment Conference in New York City, U.S., May 8, 2017. A special-purpose acquisition company, Social Capital Hedosophia Holdings, on Aug. 23 filed to raise as much as $500 million in an initial public offering with the goal of acquiring control of an as-yet unidentified technology company. Social Capital Hedosophia's stock would trade on the New York Stock Exchange. The vehicle is backed by Social Capital, an investment firm led by former Facebook executive Chamath Palihapitiya, and Hedosophia, a London venture firm co-founded by Ian Osborne, a consultant to large businesses and former partner at DST Global, Yuri Milner's tech investment group. "We believe management distraction, a sub-optimal price discovery mechanism and the resultant longer-term aftermarket impact have discouraged private technology companies from pursuing IPOs," the prospectus says. An acquisition by a blank-check company with well-known and respected management "can provide a more transparent and efficient mechanism to bring a private technology company to the public markets." The offering is being underwritten by Credit Suisse.